Previously, we discussed the meaning and significance of Your Gold and Your Truth. We learned that we could mine our most precious Gold and Truth by pondering and answering some questions that require us to look deep within ourselves. The first list should include the top five things that you most dearly want in and for your life. Write down what will make your heart sing! The second list should contain five of the things that you absolutely detest and abhor, that is, what you absolutely do not want for yourself or in your life. PETS stands for your Personal Emotional Triggers. They are those certain people, events, things, experiences, information, and aspirations that trigger the strongest emotion-generated energy reactions within you. For me, personally, one of my most powerful PETS is that I absolutely HATE the thought of being in a hospital, waiting to be operated on for a life-threatening illness or injury. That scenario is one of my biggest fears. Therefore, staying healthy and out of hospitals . 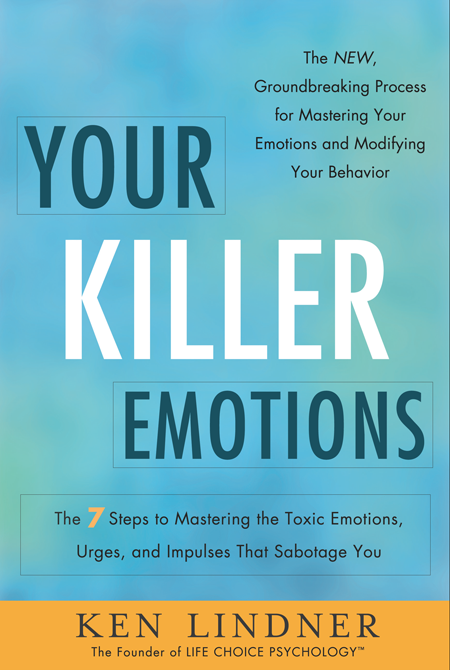 They are those certain people, events, things, experiences, information, and aspirations that trigger the strongest emotion-generated energy reactions within you. For me, personally, one of my most powerful PETS is that I absolutely HATE the thought of being in a hospital, waiting to be operated on for a life-threatening illness or injury. That scenario is one of my biggest fears. Therefore, staying healthy and out of hospitals is also one of my most cherished PETS. This PET has motivated me to stop eating fried foods for the past twenty-five years. Here’s another example. My mom was notorious for being late to everything, even her own wedding! On one occasion, she was supposed to meet my father for dinner and a play. She was more than two hours late, and all the while my father was left standing outside the restaurant, freezing and worrying about her. When my dad asked her how she could be so mean to him, so uncaring, that was enough for my mom to break years of habitual lateness. She identified that her PET was that she abhorred being called and perceived as mean and uncaring, like she perceived her mother to be; and she NEVER wanted to be anything like her mother. As a result, she was able to tap into that supercharged energy to motivate her to never be late again! If you take the necessary time to mine Your Gold and Your Truth and make the appropriate PET lists, you will be well on your way to making the most desired and beneficial life choices when you’re faced with a decision. 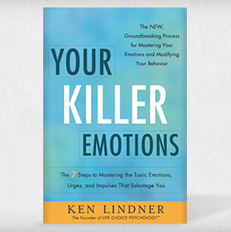 This entry was posted in Blog Post and tagged emotion mastery, gold, ken lindner, master your emotions, personal emotional triggers, PETS, truth, your killer emotions. Bookmark the permalink.